Abstract: This thesis investigates how the political thought of Augustine of Hippo was understood and modified by Carolingian-era writers to serve their own distinctive purposes. The research concentrates on Alcuin of York and Hincmar of Reims, advisers to Charlemagne and Charles the Bald, respectively. The analysis focuses on Alcuin’s and Hincmar’s discussions of empire, rulership and the moral conduct of political agents, in the course of which both made extensive use of Augustine’s De civitate Dei, though each came away with a substantially different understanding of its message. 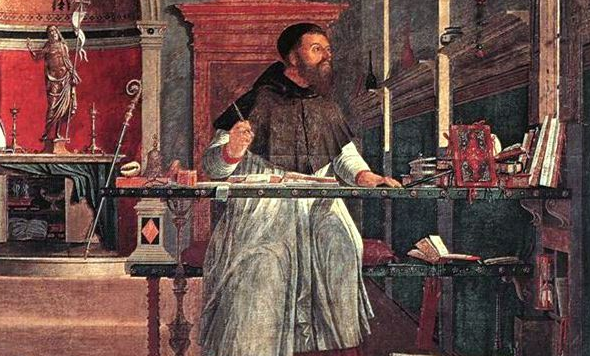 By applying a philological-historical approach, this thesis offers a deeper reading that views their texts as political discourses defined by content and language; it also explains why Augustine, despite being understood in such different ways, remained an author that Carolingian writers found useful to think with. Methodological problems are outlined in the Introduction. Chapter One contains an analysis of selected concepts of Augustinian thought, chosen both for their prominence in the De civitate Dei and relevance to the Carolingian material. Chapter Two explores the range of Augustinian influences in Alcuin’s Epistolae, with emphasis on political thought. Chapter Three studies the impact of Augustine on Hincmar’s Epistolae, Expositiones ad Carolum Regem and De regis persona, with a focus on political ethics. The Conclusion contextualises the findings on Augustinian influence from the previous chapters and attempts to show more clearly why Alcuin’s and Hincmar’s versions of Augustinian thought are so different. In particular, it considers the differences between Augustine’s, Alcuin’s and Hincmar’s understandings of ‘church’ and ‘state’ and the distinctive ways in which each of them interpreted the relationship between religion and political power. A comparison of Alcuin’s and Hincmar’s uses of Augustine sheds light on the differences between Charlemagne’s reign and that of his grandson.